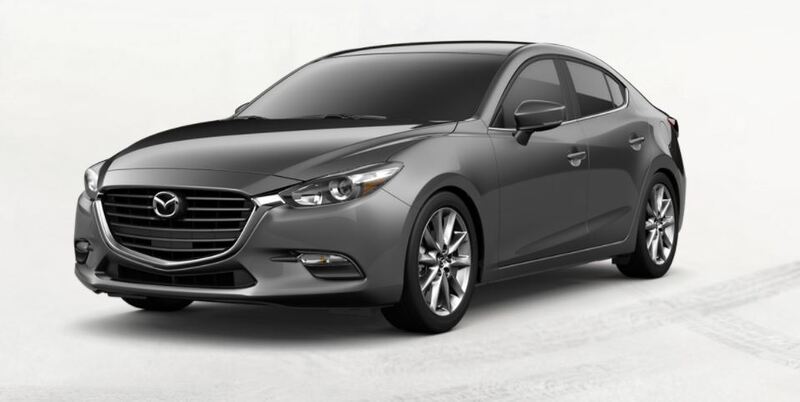 Mazda North American Operations recently issued a recall for 144 of its popular Mazda3 sedans from the 2018 model year, citing concerns over incorrect exhaust valve springs that could lead to engine problems, according to the National Highway Traffic Safety Administration. The small number of vehicles with the incorrect valve springs are at a greater risk of difficulties, including abnormal noise or vibration, and those springs may break. That, in turn, could potentially lead to the engine stalling, increasing the risk of an accident and injury. Washington, D.C. – Dec. 18, 2017 – Mazda North American Operations recently issued a recall for 144 of its popular Mazda3 sedans from the 2018 model year, citing concerns over incorrect exhaust valve springs that could lead to engine problems, according to the National Highway Traffic Safety Administration. In all, only about 4 percent of the recalled vehicles are expected to have been affected by the defect that prompted the recall, the vehicles produced from Oct. 9 to Oct. 18, 2017. Specifically, it was determined that when assembling the engine cylinder heads themselves, the company had been installing the incorrect exhaust valve springs into engines, and subsequent investigation found that this happened because a parts supplier had mistakenly shipped the wrong parts to Mazda. While Mazda tested the incorrect valve springs to determine their durability, and found no unexpected noises, rattling or vibrations, it nonetheless thinks these issues could arise over extended use. To this point, no apparent incidents of loss of control, accidents or injuries have been reported as a result of this defect. 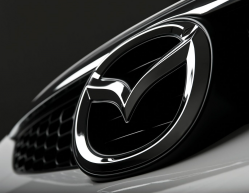 The issue was first spotted on Oct. 10, and prompted an investigation by Mazda, which lasted from Oct. 12 to 16. During that time, the automaker determined the source of the incorrect valve springs. The durability testing concluded on Oct. 19. Then, on Nov. 15, Mazda’s Quality Audit Committee convened and decided to issue the recall for the affected 2018 Mazda3s. 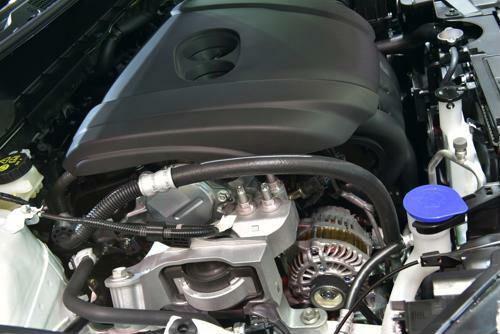 As part of the recall, Mazda dealerships will check affected vehicles to determine whether they have the incorrect valve springs, and replace them with a proper alternative free of charge. Mazda is in the process of trying to contact owners of those vehicles via phone before the notification deadline of Jan. 20, 2018. If unsuccessful, it will send out notification mailers on that date. 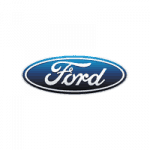 Dealers were notified of the recall on Nov. 30, 2017. In the meantime, Mazda has further added an inspection process to ensure the proper diameter of valve springs for vehicles shipped after Oct. 11. Washington, D.C. – Dec. 13, 2017 – Mazda North America recently issued a recall for nearly 1,100 CX-5 sport utility vehicles from the 2017 model year, citing an issue with genuine Mazda trailer hitch harness accessories. Specifically, as a result of inappropriate routing of that harness, there may not be enough space between the harness itself and the main exhaust silencer. Consequently, if the exhaust silencer and trailer harness come into contact with each other during operation of the vehicle, it could lead to damage to the harness that causes its internal wires to short-circuit. All CX-5s in the recall were produced between Oct. 27, 2016, and Oct. 31, 2017, and 100 percent of the vehicles in the recall are expected to be affected by it. If the wires in the trailer harness short-circuit, it can lead to failure of the trailer’s turn signals, tail lights and brake lights, which can increase the risk of accident – and injury – because trailing traffic may not be able to determine that the CX-5 intends to turn or is slowing down. However, the lights themselves are not affected directly by the defect. In late September 2017, a Mazda employee noticed that the tail lights on an affected trailer were not working properly during an installation inspection, prompting an investigation the next day. That inspection found that the trailer hitch wire had been melted, and the fuse blow in the harness circuit. Another vehicle was also discovered to have the same problem, which led to a field report being issued, and a companywide investigation started in early October. Then, on Nov. 15, Mazda’s Quality Audit Committee decided to issue a recall for all affected CX-5s. Dealers received the recall notifications on Nov. 30, and owners will be notified by Jan. 20, 2018. Those owners will be able to take their cars to local Mazda dealers for repairs, conducted free of charge. In the event that a trailer harness has been damaged, it will be replaced, and in either event, will be rerouted away from the exhaust silencer. So far, Mazda has been able to identify 826 vehicle ID numbers with associated trailer hitch harness kits, but those accessories are not always traceable within the company’s systems, so dealers are being asked to contact purchasers directly. The Problem: Insufficient clearance between the harness and the exhaust muffler may result in contact and subsequent damage to the harness, potentially resulting in inoperative trailer lights and increasing the risk of a crash. The Fix: Dealers will reroute the trailer hitch harness away from the muffler, replacing the harness if it’s damaged, for free. Yesterday, Mazda filed two “Part 573”s with the National Highway Traffic Safety Administration, which meant it was launching two recalls that, although they affect fewer than 1,500 cars in total, could affect driver safety. 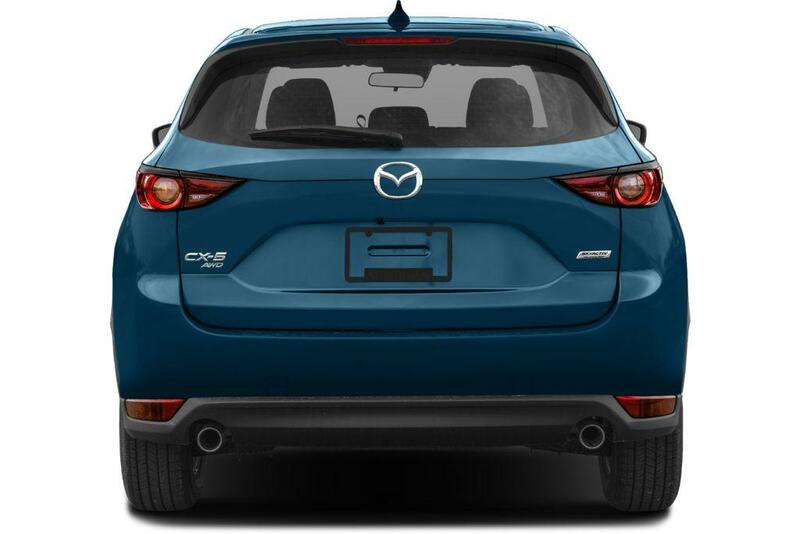 The first, more numerous recall affects some 1,076 of the brand’s top-seller 2017 CX-5, although only those with a genuine Mazda accessory trailer hitch harness installed. In these few crossovers, the wires for the harness are routed in an “inappropriate” manner so that there isn’t quite enough space between the wires and the CX-5’s main exhaust silencer. Over time, if those two rub together, the wires could degrade and short-circuit, so any trailer connected to the harness would lost its tail lamps and turn signals. Mazda reports no injuries from this recall. 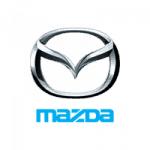 Washington D.C. – Sept. 26, 2017 – Mazda North American Operations has recalled more than 57,000 vehicles believed to be equipped with defective seat frames, according to documentation filed with the National Highway Transportation Safety Administration. The campaign affects 2015-2016 Mazda6 sedans produced between Nov. 3, 2014 and Dec. 9, 2015. Mazda is uncertain how many of the vehicles actually include the defective features. Affected models are likely to contain front passenger seat frames with high levels of weld spatter. When passengers are present, this excess metal could make contact with the classification wire harnesses installed beneath the seat frames and abrade them over time, leading to short circuiting and the eventual loss of power steering assist and air bags. In the event that power steering assist is lost, multiple warning lights illuminate. Drivers will still be able to maneuver their vehicles to evade other drivers. However, when weld splatter abrades wire harnesses and air bag functionality is inhibited, these safety features will not work should an accident unfold. That said, Mazda has not received reports connecting the defect to any injuries or accidents. On Dec. 1, 2015, Mazda received a field report from the U.S. market outlining an instance in which all of the dashboard lights illuminated in a Mazda6 sedan. Engineering personnel investigated the report and found that the occupant sensor wiring harness in the car was abraded due to extensive weld spatter on the front passenger seat frame. Approximately eight days later, the Japanese automaker rolled out amended assembly processes that involved installing protective pads beneath the seat frames in Mazda6 models. On February 5, 2016, quality assurance personnel reviewed all information related to the defect and resulting production fix, and determined that a voluntary recall was unnecessary as there was a low frequency of occurrence and drivers could still safely maintain control of their vehicles in the event of complete wire harness abrasion. Mazda continued to monitor the field for more reports. By Nov. 29, 2016, 13 more field reports materialized, forcing the automaker to reassess its earlier decision. However, by March 3, 2017, few other occurrences cropped up. On July 25, Mazda shared information on the defect and the assembly amendment with the NHTSA during a technical presentation. The agency requested more detailed data, which the automaker submitted to NHTSA officials Aug. 10 during a follow-up meeting. The NHTSA offered additional guidance on the matter Aug. 21. Mazda convened a Quality Audit Committee meeting Aug. 24 and decided to conduct a voluntary safety recall based on this discussion. 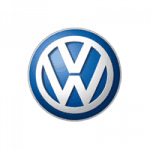 The car manufacturer notified dealers Sept. 22. Mazda directed dealers to attach protective pads to front passenger seat frames installed in affected vehicles free of charge, according to a recall acknowledgment document. Service crews are also supposed to inspect wire harnesses and apply insulating tape if they show signs of abrasion. The car company plans to notify owners via first-class mail Sept. 29. Those in need of more immediate assistance can reach out to Mazda customer service at (800) 222-5500. Callers should use the internal recall identification code 1517H. Owners can also connect with the NHTSA through its Vehicle Safety Hotline at (888) 327-4236. Mazda is recalling about 58,000 of its 2015-16 Mazda6 models because a short circuit could cause the air bags to be deactivated and power-assisted steering to be lost, according to a report the automaker filed with the National Highway Traffic Safety Administration. 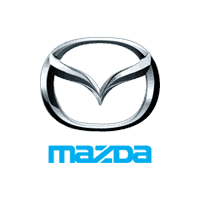 Washington D.C. – Aug. 21, 2017 – Mazda North American Operations has recalled almost 80,000 vehicles equipped with Takata air bag assemblies, according to documentation filed with the National Transportation Safety Administration. The campaign affects 2007-2012 Mazda CX-7 and CX-9 sport utility vehicles, as well as 2009-2012 Mazda 6 sport sedans. The automaker is unsure what percentage of the total models referenced in the recall contain the flawed safety features. This campaign replaces an earlier action taken in January and follows two others initiated in May and June. Together, these recalls involve hundreds of thousands of Mazda vehicles. The models named in this recall are likely to contain Takata air bag assemblies with inflators prone to rupture on impact. If exploded, these fixtures send sharp metal projectiles flying throughout the cabin, putting passengers in grave danger. Mazda has received multiple reports of injuries related to this defect, according to internal records. Other car manufacturers using these air bags have even had owners killed because of these defective assemblies. In fact, more than one dozen drivers worldwide have perished due to injuries caused by Takata-made air bag fixtures, The New York Times reported. Back in January 2017, Mazda initiated an official safety recall to address the Takata air bag assemblies installed in various models. Between the January and June, the car manufacturer replaced the safety features in affected vehicles with like-for-like parts to provide temporary relief while engineers worked on long-term solutions. In late July, Mazda finished designing and testing these permanent replacement parts. 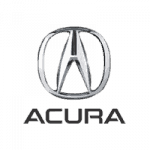 Weeks later, the automaker authorized an additional recall to supersede the action taken in January and equip affected vehicles with viable air bag parts in need of no further mechanical adjustments, according to internal documentation filed with the NHTSA. Mazda notified dealers Aug. 11. 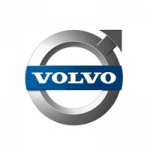 The car company has directed dealers to replace the air bag assemblies in affected vehicles with safe alternatives, free of charge. These new parts are made to withstand hot and humid conditions, and therefore do not develop the structural issues that cause Takata assemblies to rupture upon deployment. Mazda intends to notify owners via first-class mail Aug. 25. Those in need of more immediate assistance can contact Mazda customer service at (800) 222-5500 or call the NHTSA Vehicle Safety Hotline at (888) 327-4236. Mazda is recalling more than 205,000 vehicles to replace Takata frontal passenger-side airbag inflators, a recall that is meant as a permanent fix to a May 2016 recall. Included in the Takata recall are 2009-2011 Mazda Mazda6, 2007-2011 Mazda CX-7 and Mazda CX-9 vehicles that will have their passenger airbag modules replaced. The recall is part of the ongoing saga of Takata airbags at risk of exploding due to the explosive chemical, ammonium nitrate.